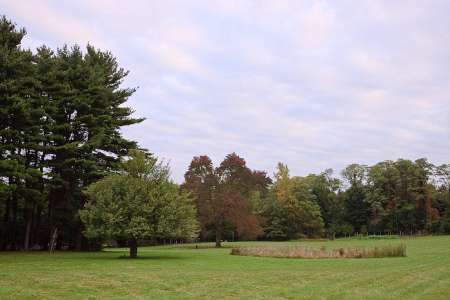 View of the University Settlement Camp.Robert Rodriguez, Jr. We facilitated the purchase by the New York State Office of Parks, Recreation and Historic Preservation of this long-time summer camp, located on meadows and woods in the heart of Beacon, ensuring that its amenities—including a swimming pool, gym, theater and ball field—will be enjoyed by residents and visitors. The property also contains 30 acres of steeply sloped forest adjacent to Scenic Hudson’s Mount Beacon Park. As part of this transaction, we also acquired a five-acre parcel along Fishkill Creek that will aid in creation of a shoreline trail linking our Madam Brett Park with Beacon’s Main Street. The acquisitions enhance the connections between the City of Beacon, Scenic Hudson parks and Hudson Highlands State Park, achieving our goal to increase public access within municipalities to outstanding ecological and recreational resources. Federally recognized as “lands of national significance,” the Hudson Highlands have been described as one of the world’s great “biological melting pots” because of the astonishing diversity of wildlife they support. A priority within the New York Open Space Plan—a blueprint for the state’s land-conservation efforts—the Highlands are at the heart of one of the Hudson Valley’s fastest developing areas. The purchase is part of Scenic Hudson’s collaborative campaign to Save the Land that Matters Most, protecting 65,000 acres of great scenic, ecological and agricultural significance.